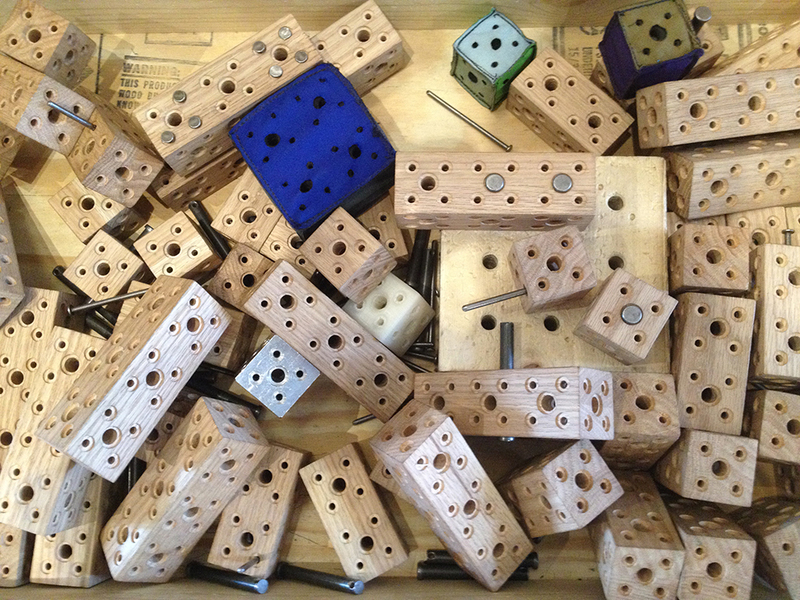 Tots run MAKESHOP on Monday mornings when we close off the workshop and have Tot MAKE, with activities designed for younger children, ages 1-3. 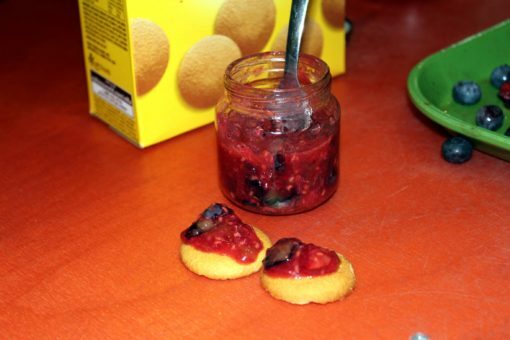 So far, my favorite Tot MAKE of the summer was when we made tasty jam out of berries. 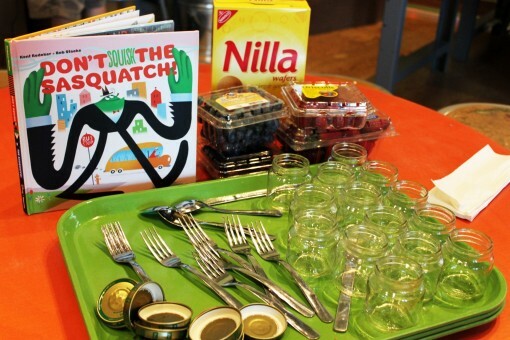 We started off Tot MAKE by reading ‘Don’t Squish the Sasquatch’. 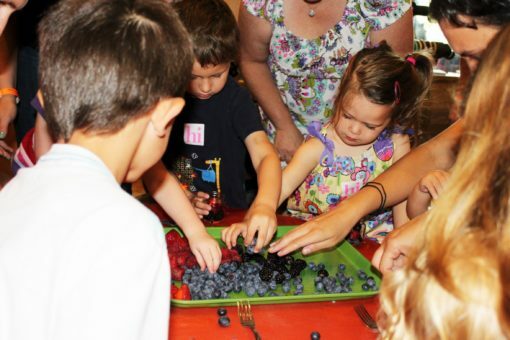 Then, we put our squishing skills to the test on an assortment of berries. Every Tot got a jar and a fork and we had blueberries, blackberries, strawberries and raspberries in the center of the table. Everyone grabbed the berries they wanted and started squishing. Strawberries were the crowd favorite! 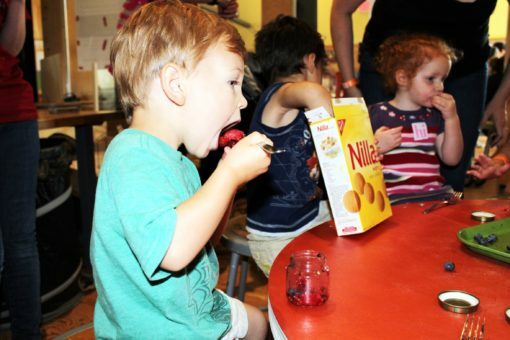 Once we had made the jam, we got to enjoy the fruits of our labor by spreading it onto Nilla Wafers, although some ate it straight out of the jar. YUM! I could not stop eating this stuff all morning, and I was very sad when I ran out of jam. Definitely the tastiest Tot MAKE of the summer! My 2 year-old daughter absolutely loves this book and I was looking for ideas to supplement what we were already doing. This was perfect and she had such a great time! You can come check it out at http://www.RufflesandRainBoots.com if you’d like, but even if you don’t I wanted to say: thanks!